Get inspired by the colors at Kuler.adobe.com. Register for free and make color your own color themes or get inspired by the color themes that others made. 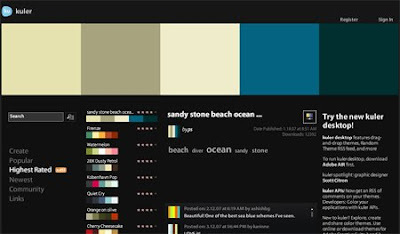 This is a great site to look at good color matches and vote what colors you like. It's very useful to get a nice color theme for a logo, website or any other design.